Chelsea star Willian has revealed that his agent held talks with arch-rivals Manchester United over a possible move before he went on to commit his future at Stamford Bridge. 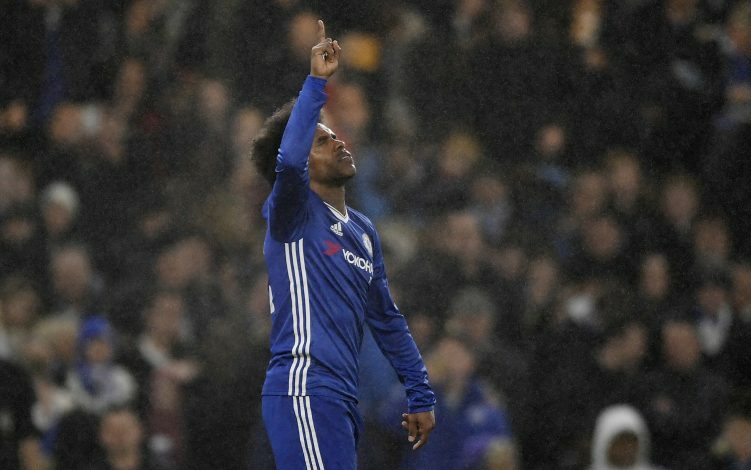 Willian’s agent spoke to United’s representatives last season, but the eventual English Champions blocked any progress for a deal to materialise. The winger went on to win the Premier League title under Antonio Conte, and featured in 41 games, scoring 12 goals for the Blues. According to a report in Goal.com, the Brazilian midfielder revealed that United came calling but Chelsea was not keen to negotiate. 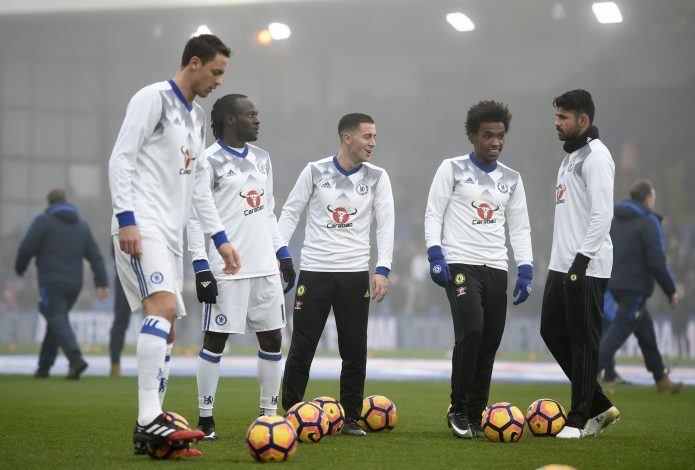 Willian has played four seasons at Chelsea since joining the club under Jose Mourinho in 2013-14. He has since picked up two PL honours, besides a League Cup. The versatile winger played two and a half seasons under Mourinho and became a club favourite with his dynamism and prowess. The 29-year-old went on to add he is grateful to Jose for placing his trust in him. “He has put his trust in me and in my work, and I was very grateful to him,” he added. The Brazilian international will hope to play a major part under Conte this season, as the side goes on to defend their domestic honour besides making a mark in the Champions League. Chelsea last won the coveted European trophy in 2011-12 under then manager Roberto di Matteo. Since then, the title has eluded the Blues, as the former Shakhtar Donetsk player hopes to win the major honour besides eyeing more trophies. “I dream of winning more titles with Chelsea, win a Champions League and Fifa Club World Cup with Chelsea and be one of the best players in the world, as well as win titles with the Selecao (Brazil) and a World Cup,” he was quoted as saying.